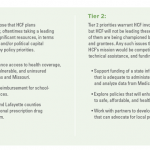 CoverKC assisters urge consumers who get coverage through Healthcare.gov to prepare early. 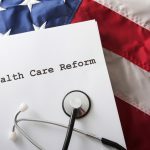 Last-minute changes at the federal level to the health insurance marketplace are causing confusion among many consumers. Some people are wondering if they can still get insurance or if they will lose coverage they already have. “It’s important for consumers to know the 2018 marketplace opens for business Nov. 1,” said Molly Moffett, program manager for Enroll Wyandotte. “Despite recent changes, nothing will stop the upcoming open enrollment from happening. Insurers have already established their 2018 plans.” Eligibility for Advance Premium Tax Credits and cost-sharing reductions, which help lower monthly premiums and out-of-pocket costs, are also still available for 2018 coverage. 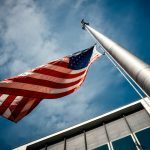 The Affordable Care Act remains the law of the land and insurers are required to offer these savings to consumers who are eligible. What is new this year is the enrollment period is much shorter. Reduced from 90 days to only 45 days, Marketplace enrollment begins Nov. 1 and ends Dec. 15, 2017. “With only six weeks to enroll, consumers need to act now and schedule an appointment with a trained assister,” said Jim Torres, marketplace program manager at Samuel U. Rodgers Health Center. 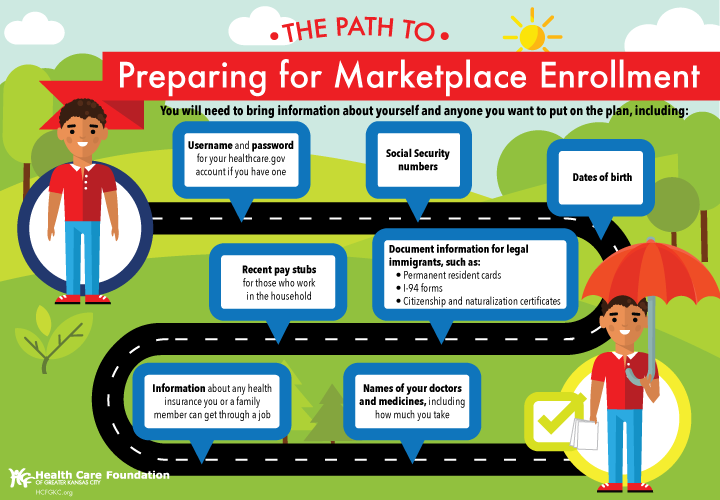 “Our help is free and preparing early will help consumers avoid enrollment delays that could arise later.” To ensure enrollment goes smoothly, consumers applying for Marketplace coverage need to gather the following information and bring it to their first visit. Username and password for your healthcare.gov account, if you already have one. Social Security numbers for everyone in your household. Dates of birth for everyone who will be covered. Proof of immigration status, if applicable. Recent pay stubs for those who work in the household, or a 2016 federal income tax return for those who are self-employed..
Information about any health insurance you or a family member can get through a job. Names of doctors and prescriptions, including dosage amounts. Download and print this helpful checklist to help your clients arrive with the correct documents. Consumers who currently have a marketplace plan should review their application from last year, make updates and shop new plans during open enrollment. Your health plan’s provider networks may have changed and new health plans are available. You might find a more affordable option that better fits your family’s needs. If you would like in-person assistance, trained navigators and certified application counselors from the CoverKC coalition are located throughout the metro and are just a phone call away. These assisters are available free-of-charge to talk with consumers about their health care questions. They can help you review your options, see if you qualify for financial help, select a plan, and navigate the application process through HealthCare.gov. United Way 2-1-1 serves as the region’s central referral hub for consumers. Simply call 2-1-1 or visit www.CoverKC.org to connect with free, local help. More than 99,000 people in the Kansas City region selected health insurance plans through the federal Marketplace during the 2016-17 enrollment period, but many more than that are still without health insurance. Explore your health care coverage options, get covered and stay covered. Find CoverKC on Facebook View CoverKC’s video.